As fascinating as it may sound, it’s true. The ‘event’ happened in Florence, Italy, on October 27, 1954. 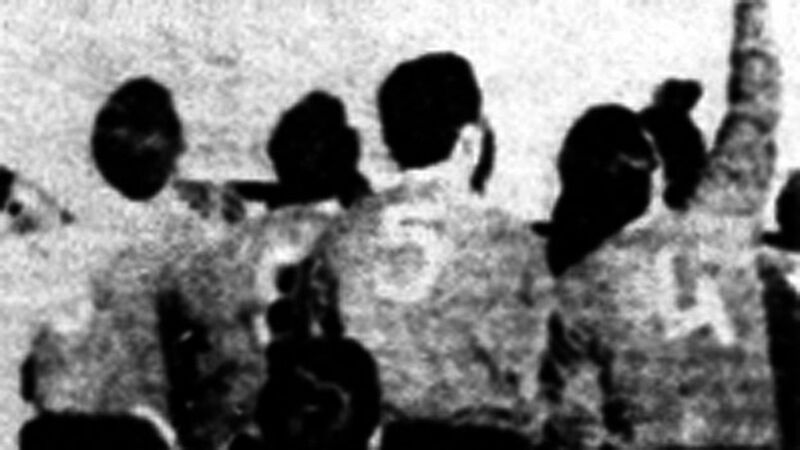 In October of 1954, a match involving the Italian team Fiorentina was interrupted by mysterious visitors hovering above the stadium. The Fiorentina UFOs were part of a wave of mass-sightings across Europe – and it remains a mystery to this day. On that occasion one of the most massive UFO sightings in history took place: around 10 thousand people who were in the Artemio Franchi stadium watching the encounter between Fiorentina and Pistoiese witnessed the appearance of unidentified flying objects in the skies above the stadium. Eventually, the match had to be suspended “because the spectators saw something in the sky” according to the official report of the match referee. According to the testimony of one of the players present in that match, defender Ardico Magnini, who was something of a legend at the club and had played for Italy at the 1954 World Cup. He also remembered that a strange sticky and shiny material fell on the ground. Other testimonies relate the presence not of one but of several strange objects in the sky. La Nazione’s headline reads: Glass fibers fall on Tuscan cities after globes and flying saucers pass by. 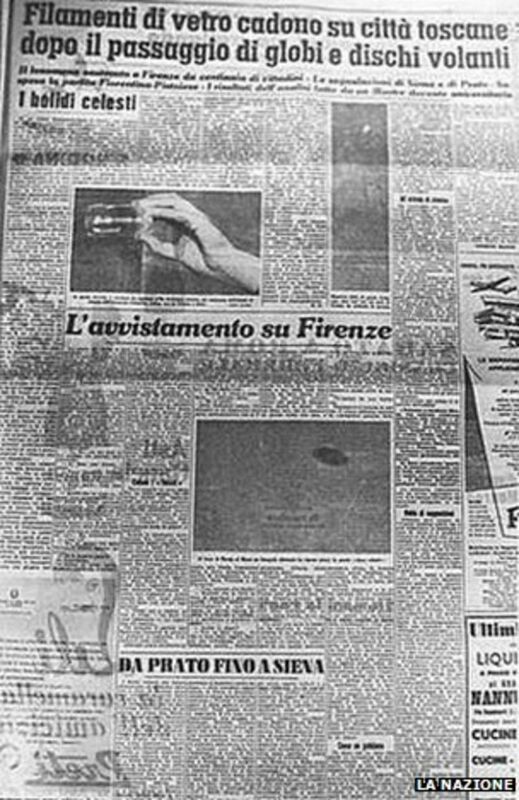 Lower headline: The sighting over Florence (with a photograph, now lost, of the UFO). In the following days, numerous other UFO sightings were recorded in the towns near the stadium. That unknown substance did not only fall on the court, but it covered a good part of Florence before evaporating. Those who came into contact with this material describe it as similar to cotton but ungraspable as it disintegrated on contact. An explanation, rare but scientific, of this phenomenon, arrived many years later: it could have been large networks of connected webs, which appeared in the sky as globes, shining by the reflection of the Sun since that is how spiders migrate. Curiously, October coincides with the time of migration of the northern hemisphere spiders. However, the material found simultaneously with the appearance of UFOs was analyzed in the laboratory and the elements found do not coincide with those that are part of spider webs. Therefore, until this day, whatever the spectators and players saw floating above the Artemio Franchi stadium remains a profound mystery, and one of the best documented UFO cases in history.